Spicy Multi Restaurant is multiple mobile app template with screens designed for client, admin, landingpage and much more in next update. Packing list with: 67 PSD files full layers hi-res 750×1334px and 100% shape and link download in the end of page. 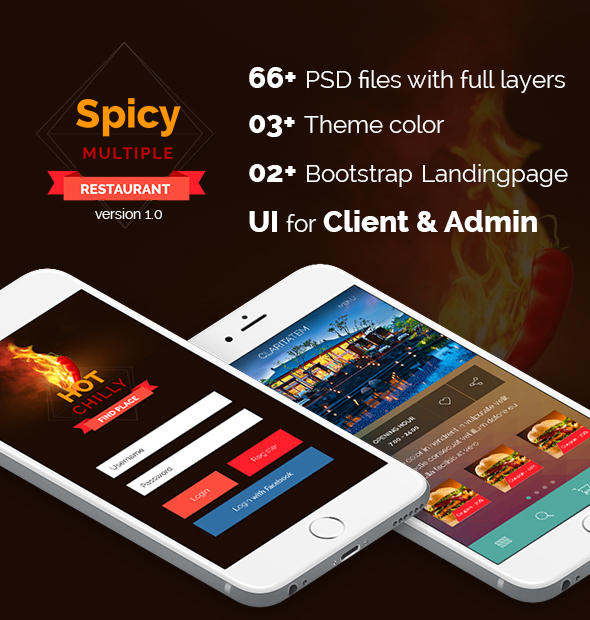 Spicy Multi Restaurant is multiple mobile app template with screens designed for client, admin, landingpage and much more in next update.